Next weekend, I’ll be spending a day at the races at Vancouver’s Deighton Cup. Naturally, deciding what to wear for the event has been half the fun! I’d initially planned to sport a classic dress for the occasion but, upon coming across this black jumpsuit at LOFT Park Royal, those desires immediately left my mind. 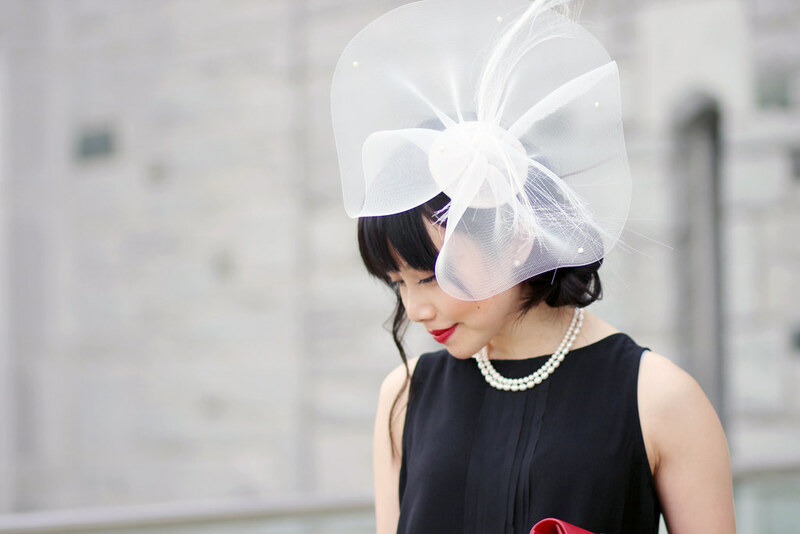 Paired with pops of red (of course) and the most beautiful, pearl adorned white fascinator by a local designer, this sleek number is lovely canvas to create a classic look with a modern, slightly unusual edge… and it will be refreshingly comfortable to move in on the day, as well! Purchase tickets for the event here, and be sure to check out what my girls Alex and Alicia will be wearing, as well! I love this outfit! And your fascinator is absolutely gorgeous. I like how you’ve taken a non-traditional approach to this outfit, yet still look so classy! LOVE how you picked a jumpsuit!!! So chic and unexpected! Such a stunning look. I am so smitten with that jumpsuit – very chic! great option instead of a dress!! Amazing outfit! It’s very sophisticated and modern (and British). Oh Jen!! All I can say is “Wow! 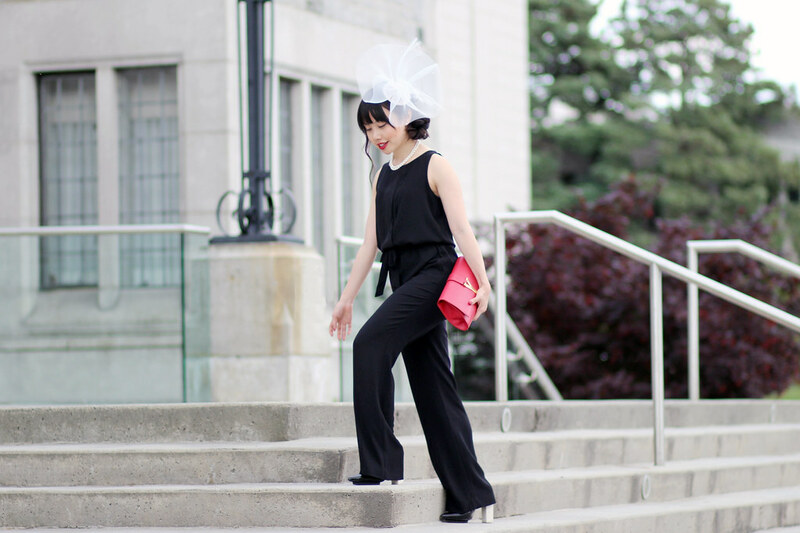 !” I’ll never get tired of black and white…but this black jumpsuit (so classy!) 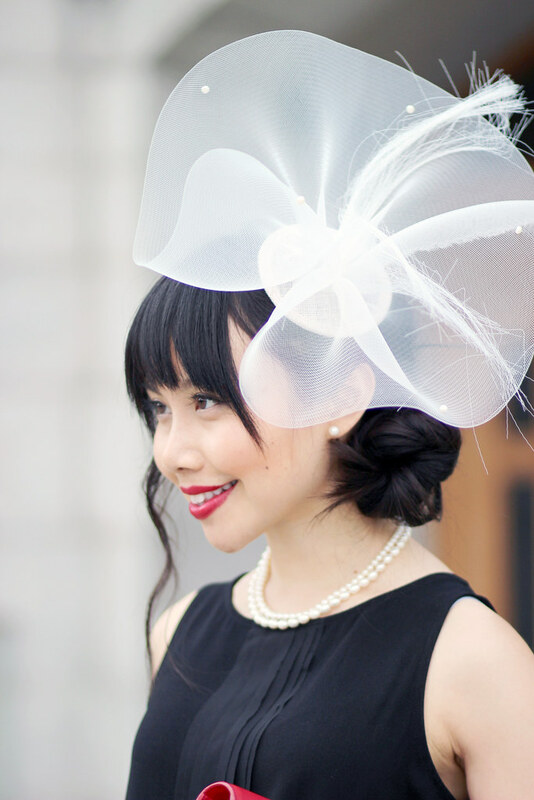 paired with the frothy white chapeau is TRULY a special look!! You will turn heads for sure!! You are working the hair accessory so well. Very inspiring look! It’s so cool that you are from Vancouver.